This form is created to collect the contacts of the Palestinians who survived the Nakba and are living in Canada. We thank you for submitting your information. 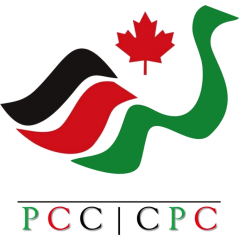 We will limit the use of this information to send messages related to the Palestinian Canadian Congress effort to acknowledge Canada Nakba survivors. تستخدم هذه الصفحة لجمع المعلومات الخاصة بالفلسطينيين الناجيين من النكبة والذين لا يزالوا مقيمين في كندا. نشكر لكم مشاركتكم بهذه المعلومات. كما نتعهد لكم بأن يتم تحديد استخدام هذه المعلومات فقط في اٍطار جهود المجلس الكندي الفلسطيني لتقدير و تكريم الفلسطينين الناجين من النكبة في كندا. Please, provide your phone number to allow us to follow up with you on a personal level.